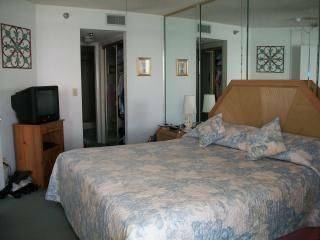 Our unit is one of the nicest, owner owned ocean front condo's in Daytona Beach Shores. 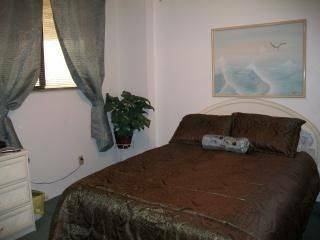 We have 32" LED TV's in Living Room and Bedrooms, VCR/DVD's, in a quiet no smoking condo. 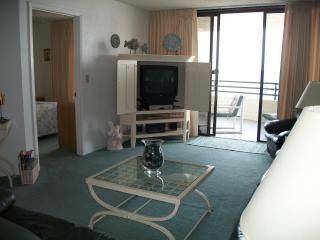 The condo is on the 6th floor center with a large balcony over looking beach and ocean. saturday with special rates for longer stays. Direct Oceanfront Center Unit #602 with Private Balcony. Guest Bedroom with Queen Bed and access to Hallway Bathroom from Bedroom. Rollaway Bed available for additional guest. 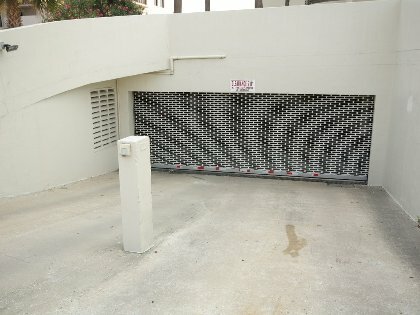 Secure Parking Garage entrance with direct access to Elevators. Comfortable and well appointed. Felt like being at home. We will defiantly rent again! We stayed at this condo recently on our vacation in Daytona Beach. This is a wonderful condo right on the ocean/beach. The building is nice and very secure with gated garage parking. Couldn't ask for a better owner of a vacation condo, easy to work with and has a beautiful place that we want to return to VERY soon. 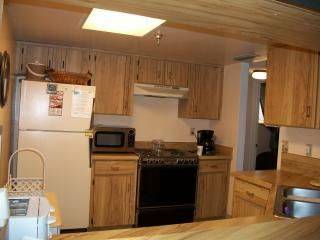 Our weekly rental rates are from $650 to $1100 rates vary depending on time of the year. Special Monthly Rates. Cancellations and Refunds: Full refund 30 days.